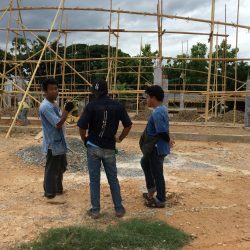 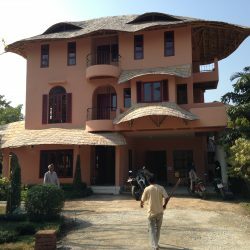 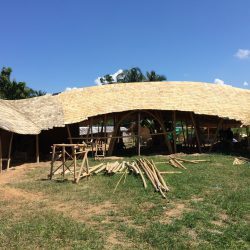 The Youth Development Foundation (YDF) in San Sai is a non profit organisation that helps underprivileged hill tribe kids to an education and guides them through vocational training. 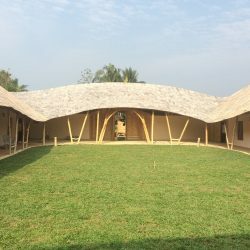 There was a need for a school/training center that also reflected the founders vision of environmental mindfulness and love to our planet earth. 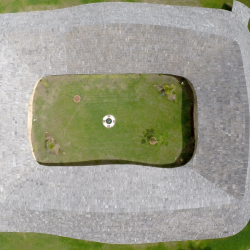 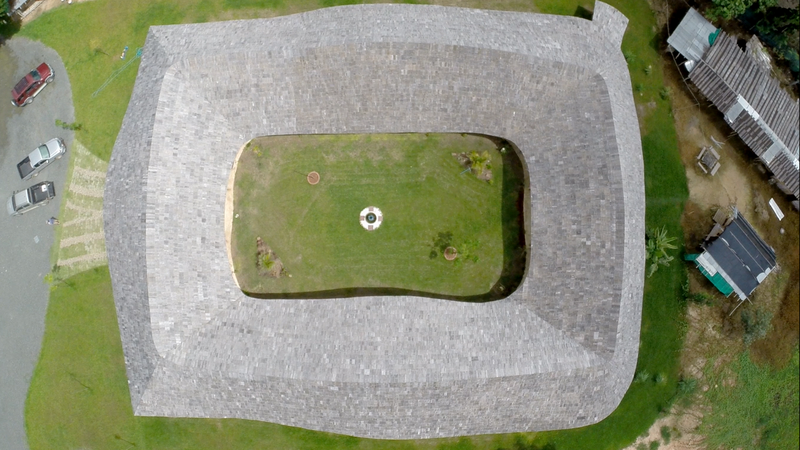 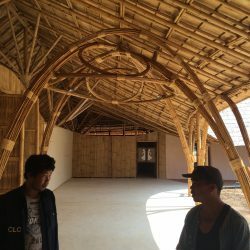 The ancient courtyard concept was chosen to create a space that allows for protection against outside distractions and concentration on the task at hand. 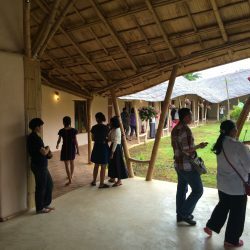 But at the same time there are spaces for getting together and communication like the lounges at the entrance and the back side. 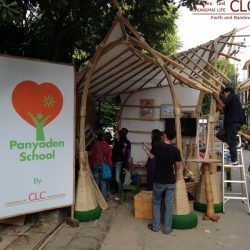 6 classrooms are facing each other with an arcade connecting all rooms. 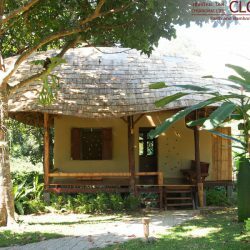 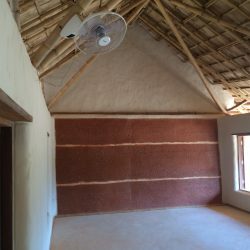 There is the office room and a store room at the entrance as well as a space to receive and welcome visitors. 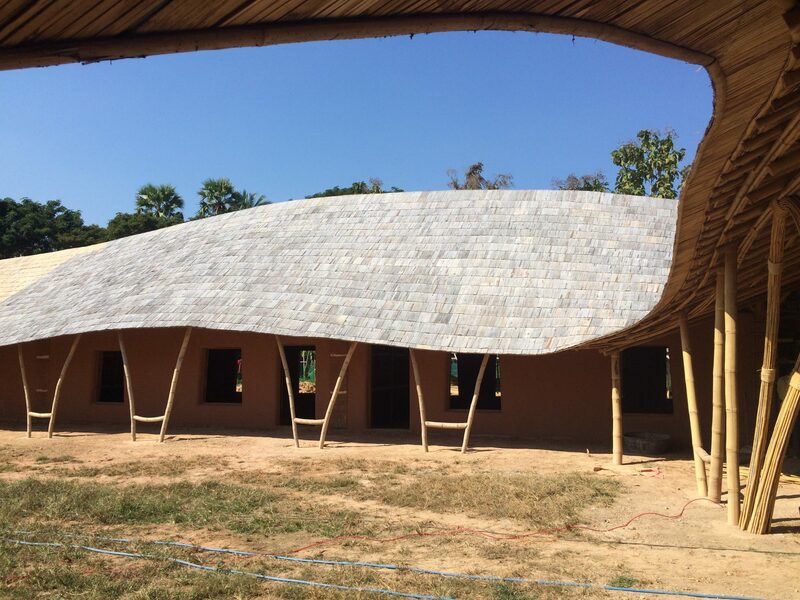 on the opposite wing are the toilets and on the outside is a kitchen and canteen. 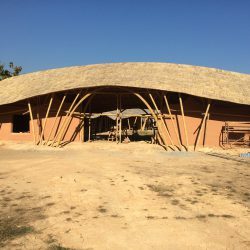 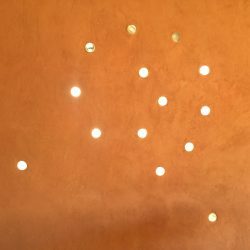 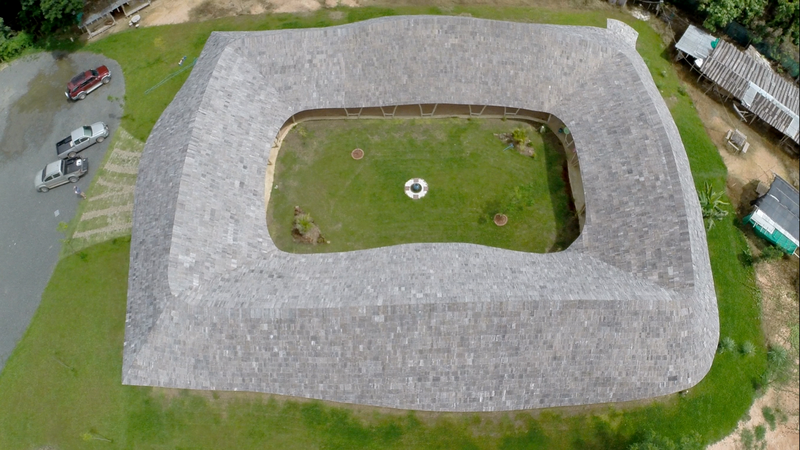 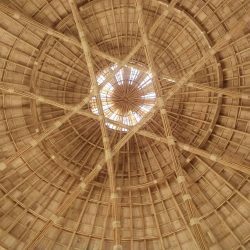 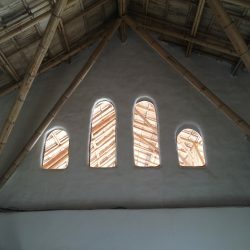 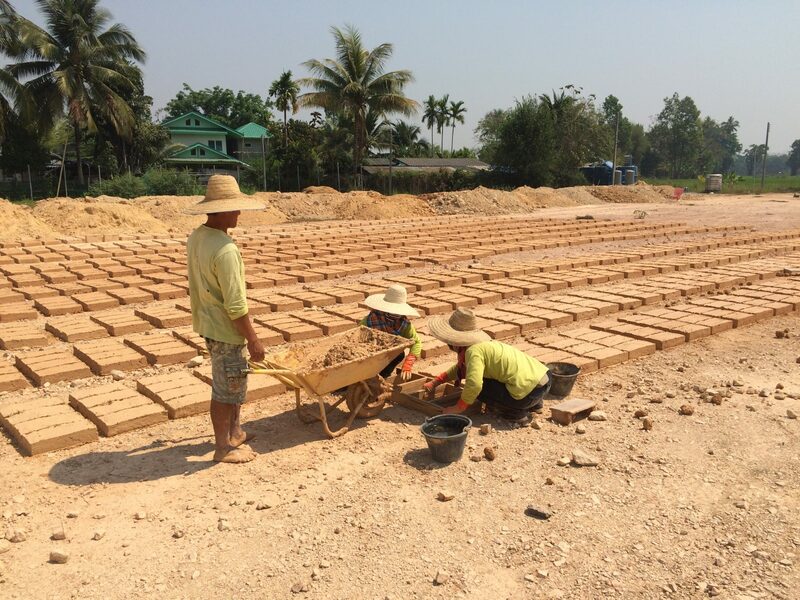 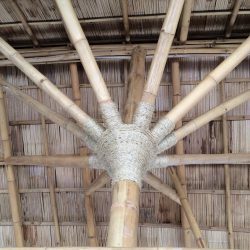 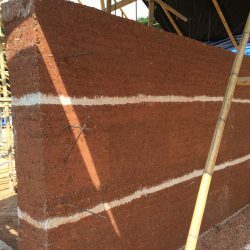 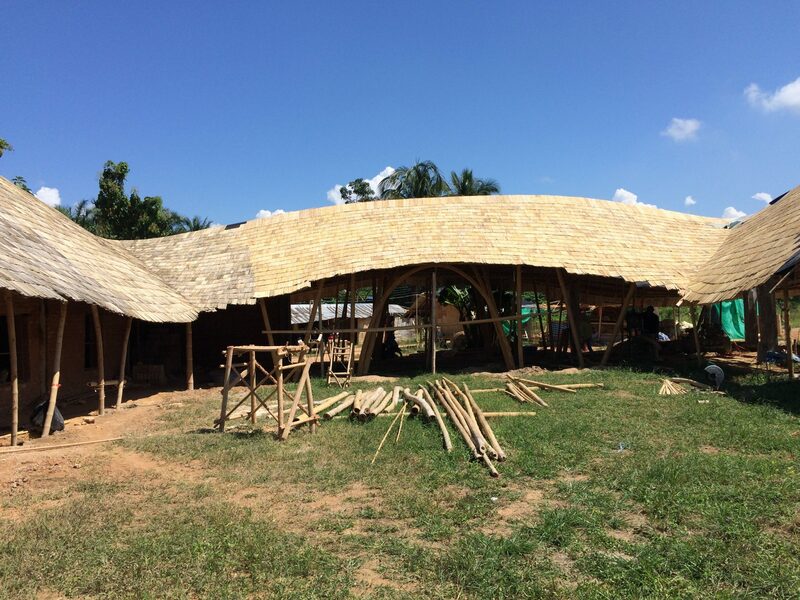 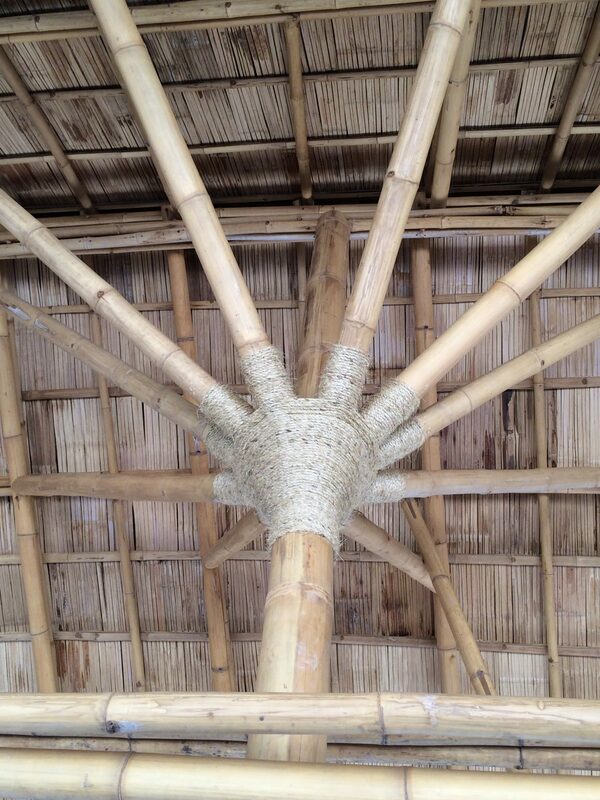 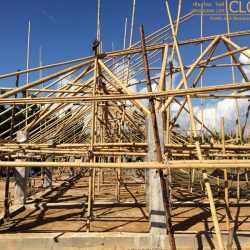 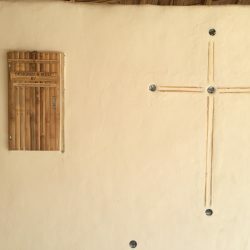 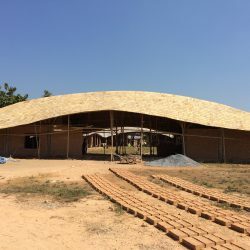 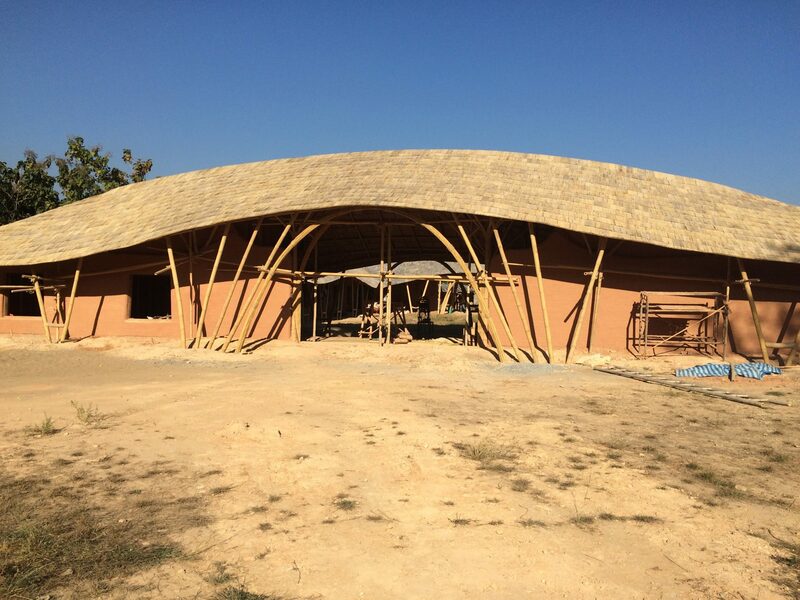 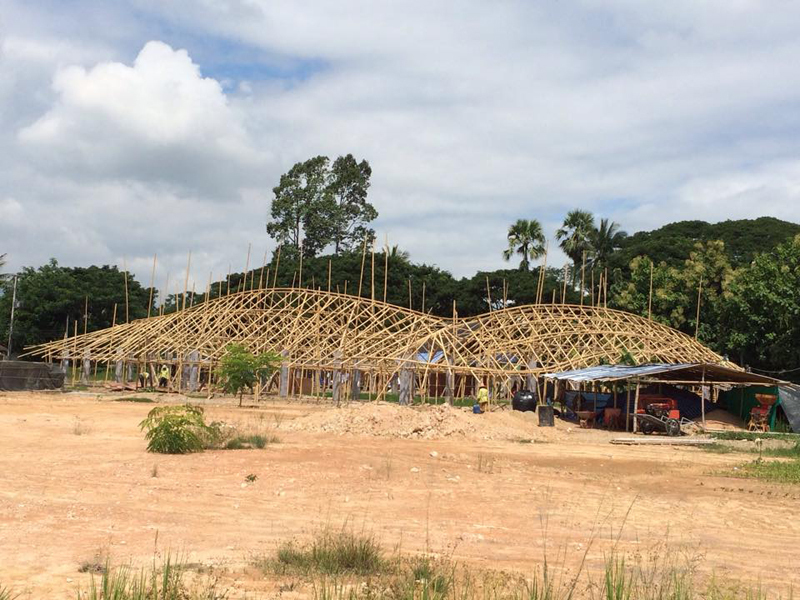 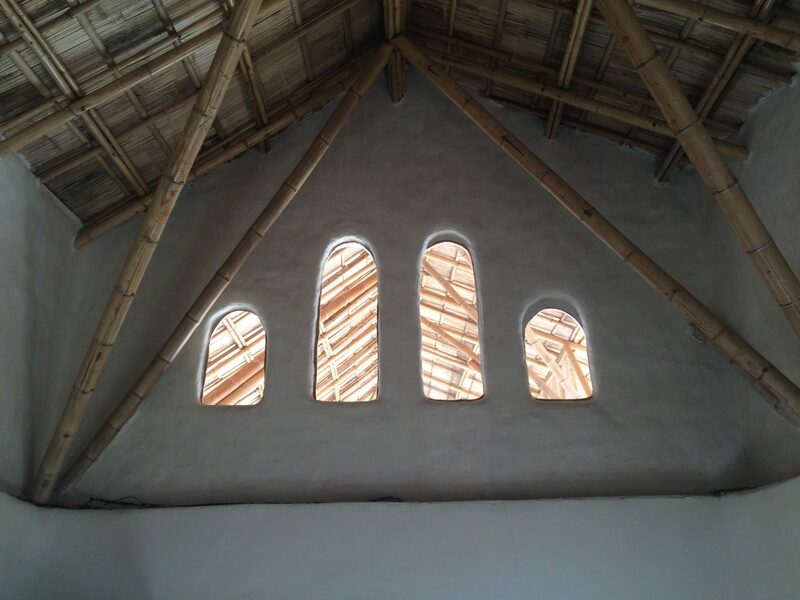 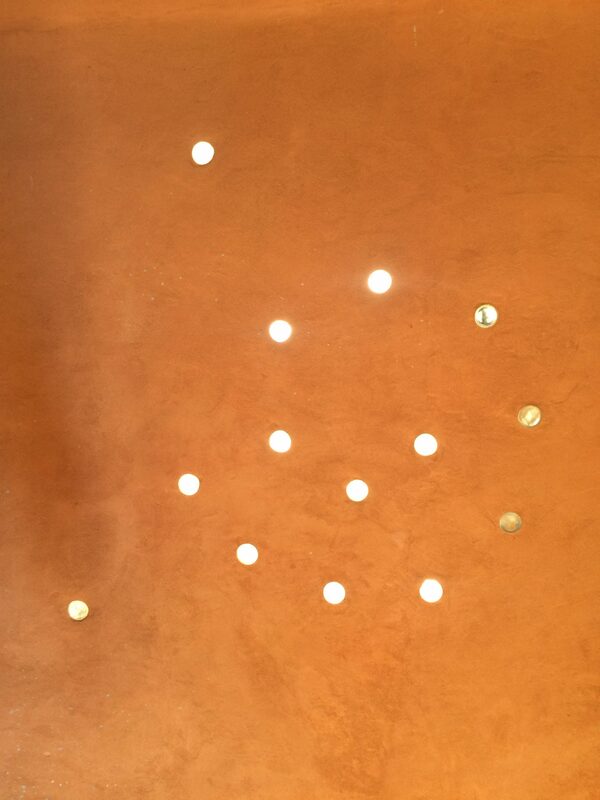 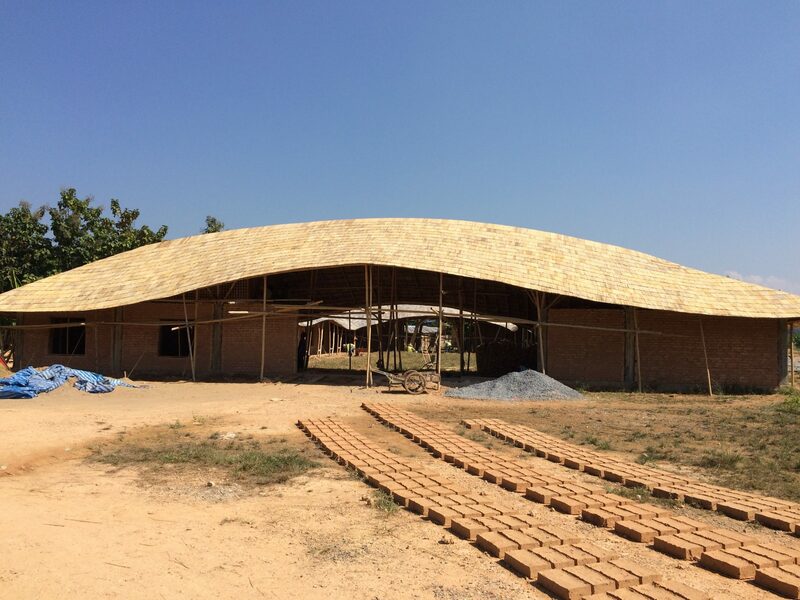 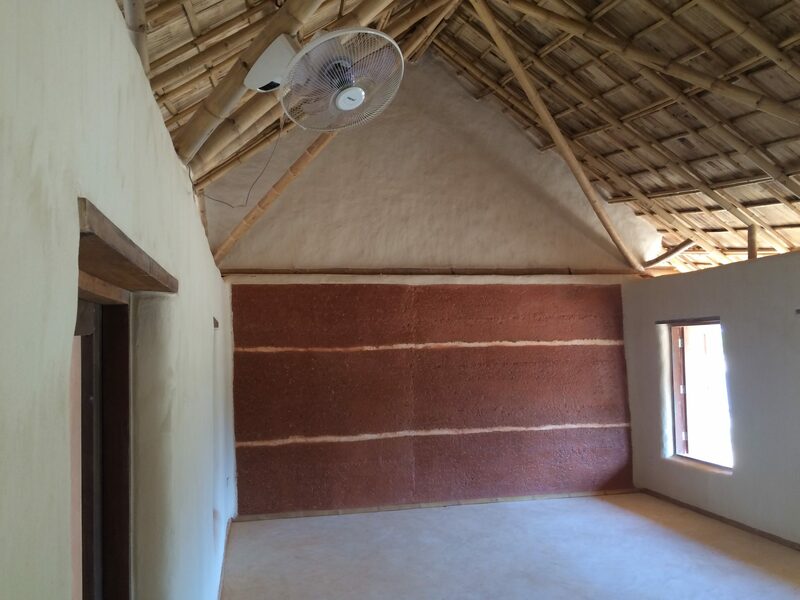 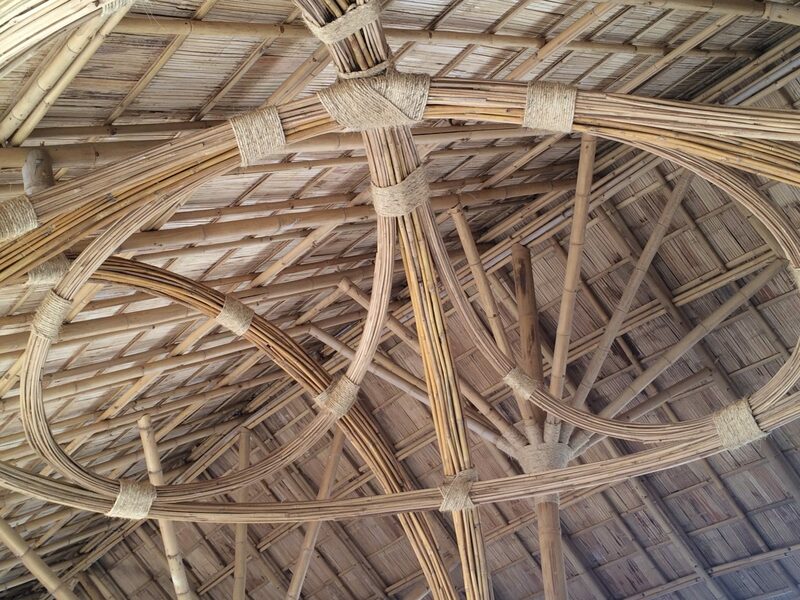 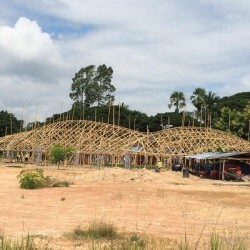 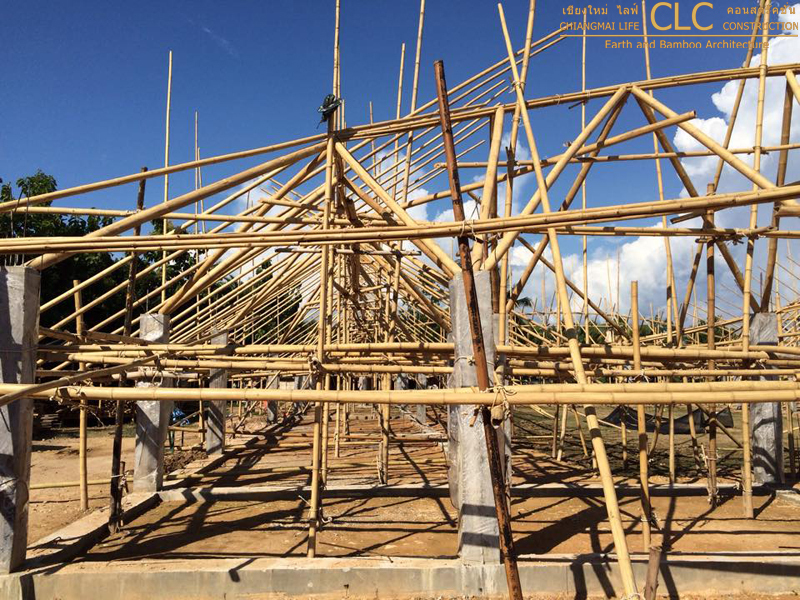 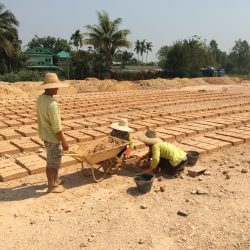 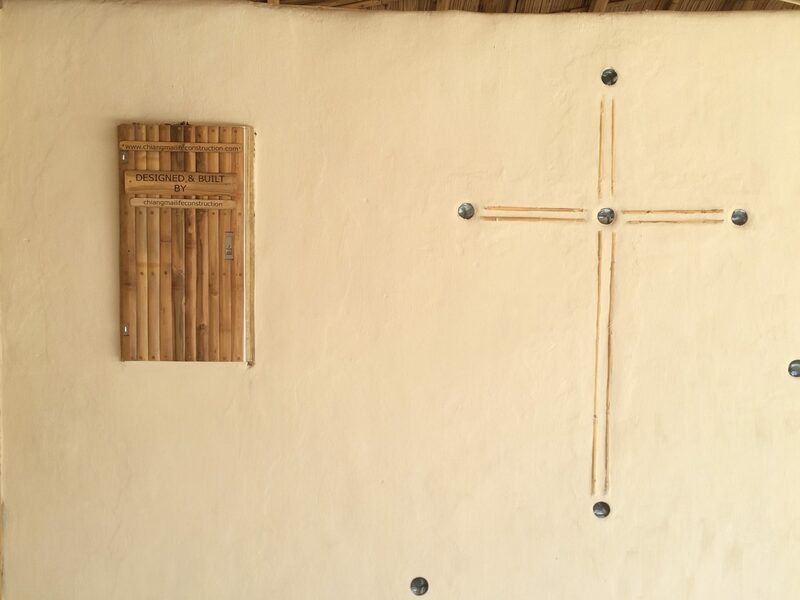 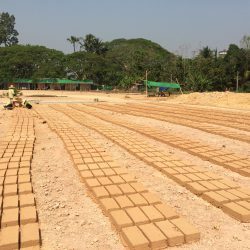 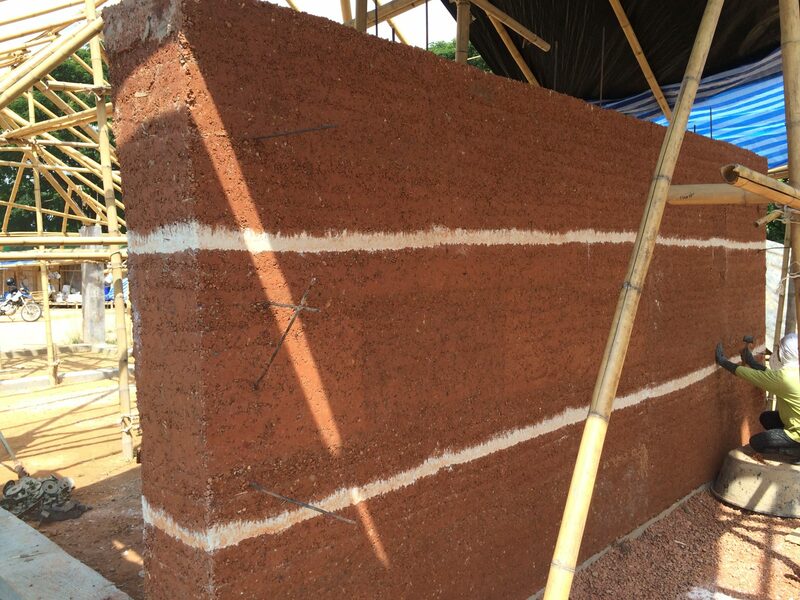 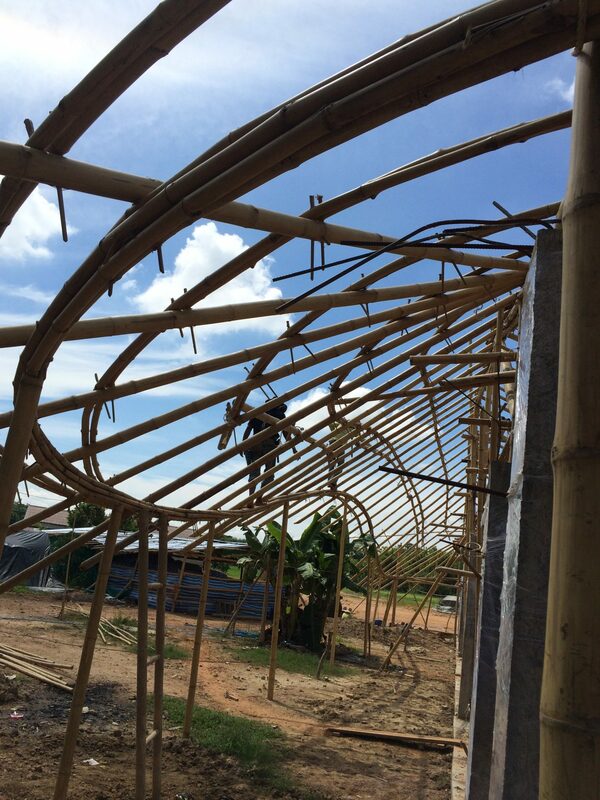 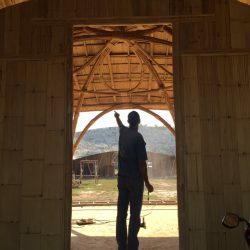 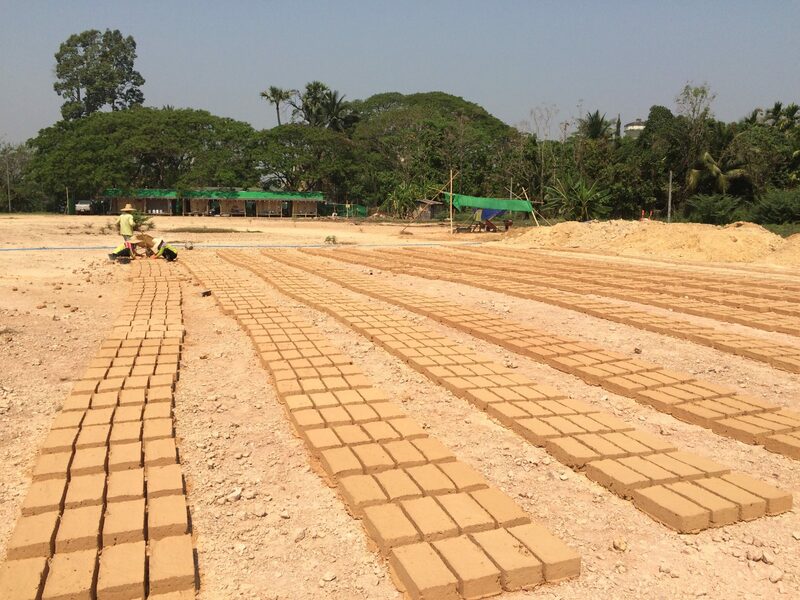 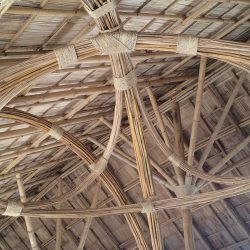 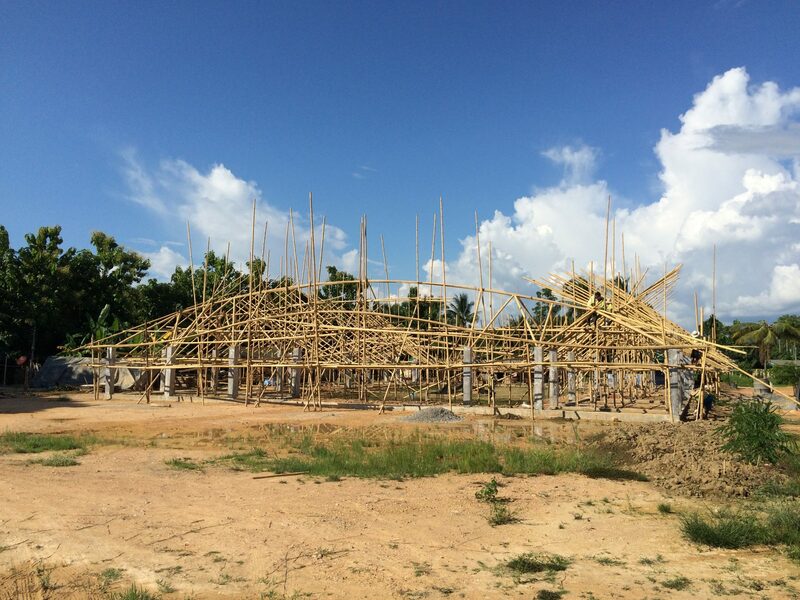 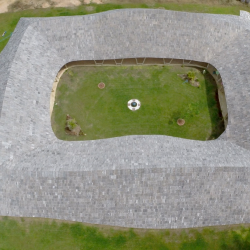 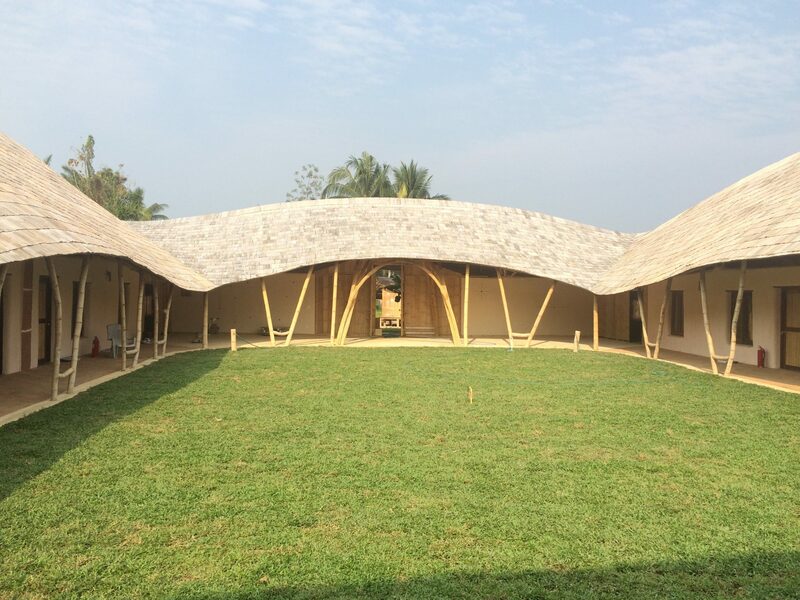 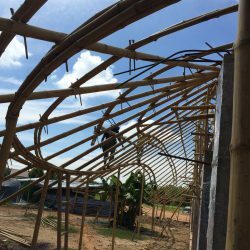 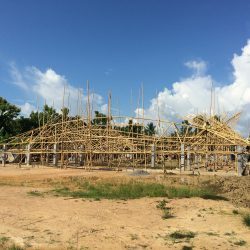 The outer walls of the YDF School Building are made of adobe bricks, the walls that separate the class rooms are rammed earth and the roof construction is all bamboo. 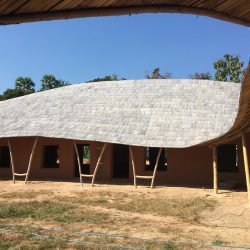 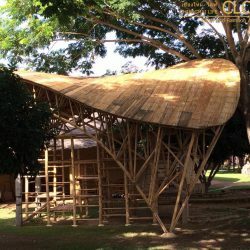 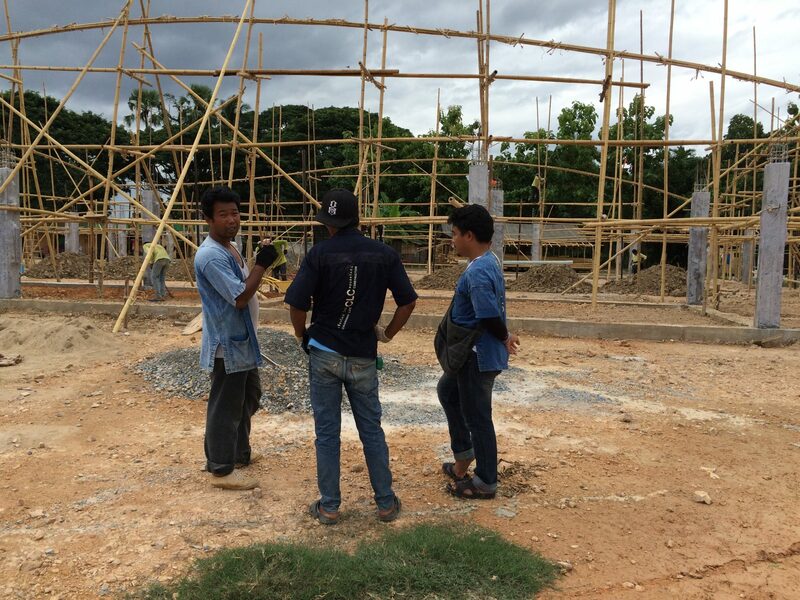 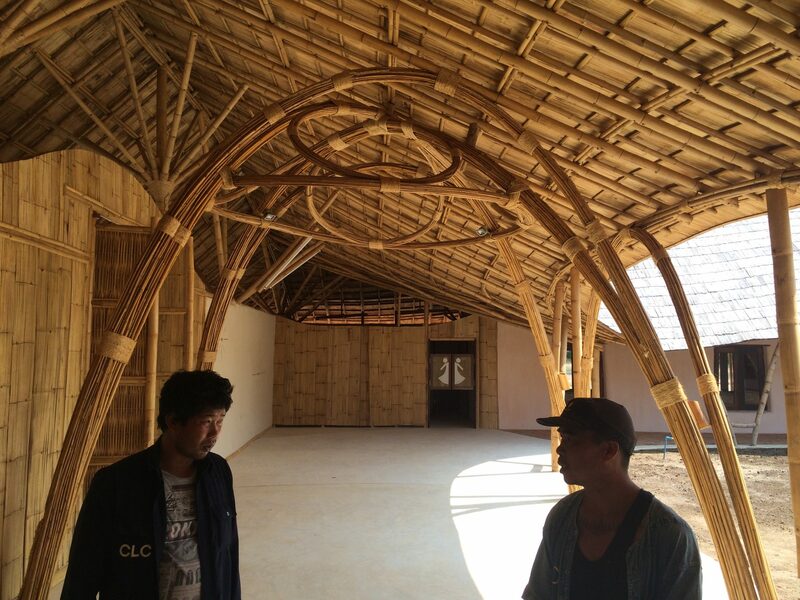 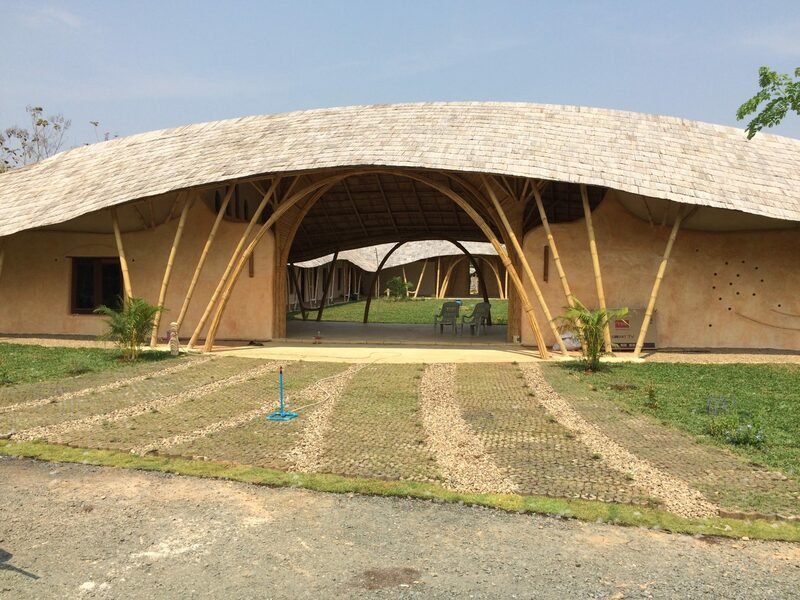 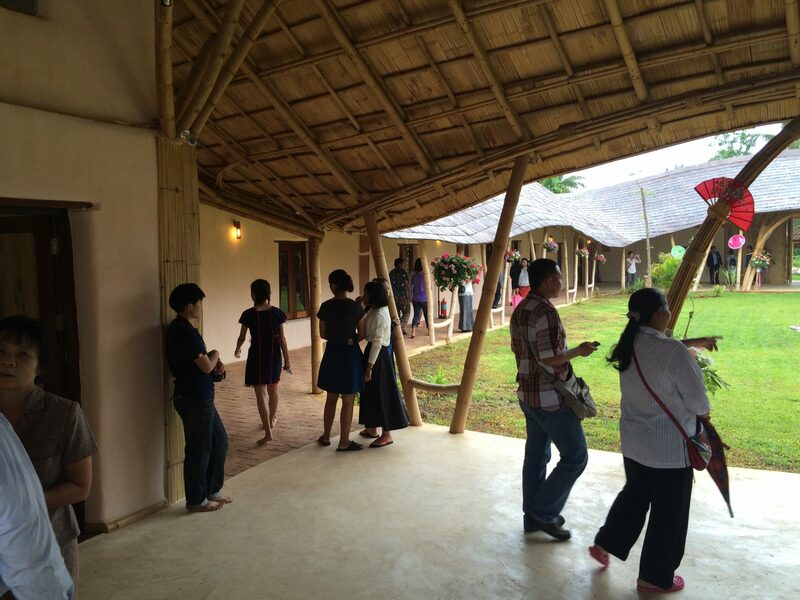 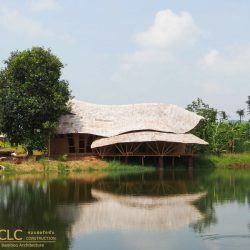 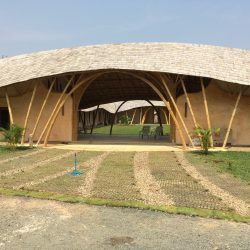 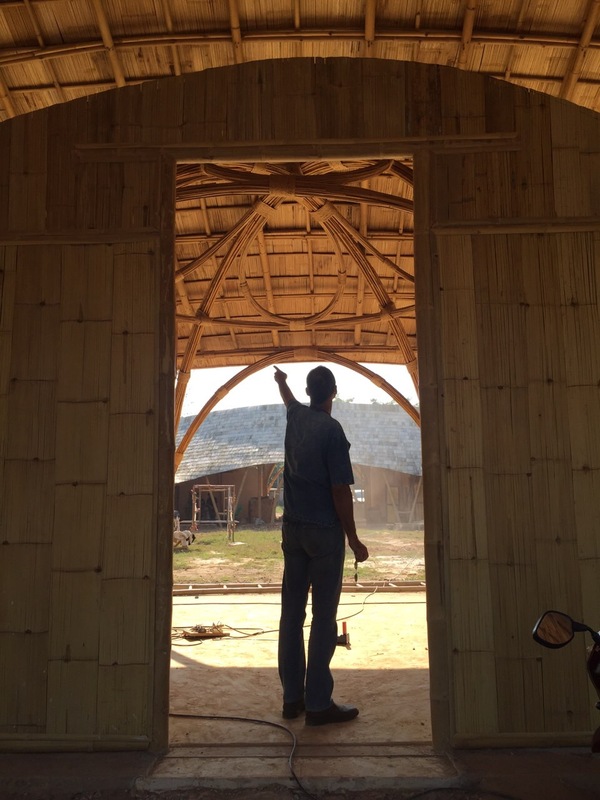 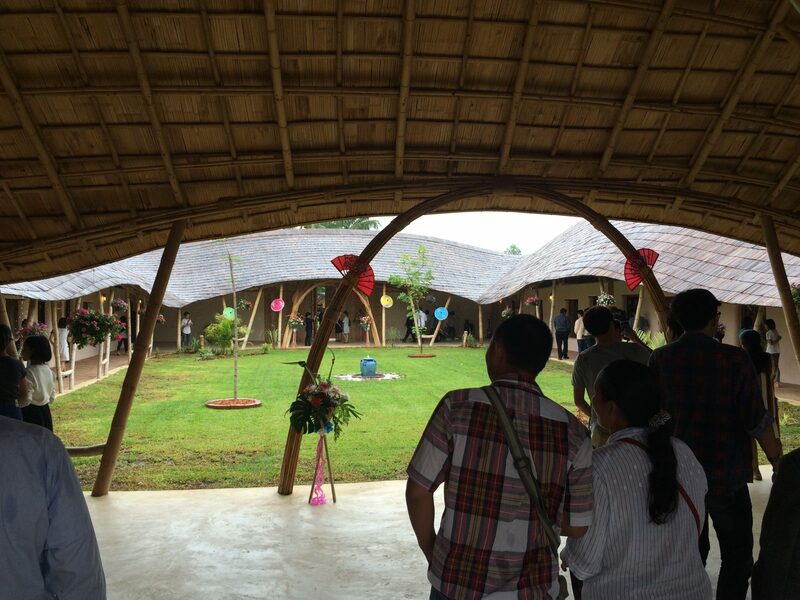 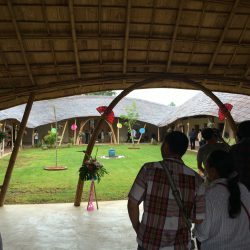 The YDF school building demonstrates how natural materials mold by modern architectural design can increase the quality of life even in this 21st century.